With nearly three decades of experience in providing HVAC systems for sustainable comfort solutions, Clivet can now offer the best in terms of knowledge and technology. In addition to providing solutions for the residential sector, Clivet can also support the commercial and industrial sectors with a complete range of chillers, heat pumps, air handling units, direct expansion and VRF systems. 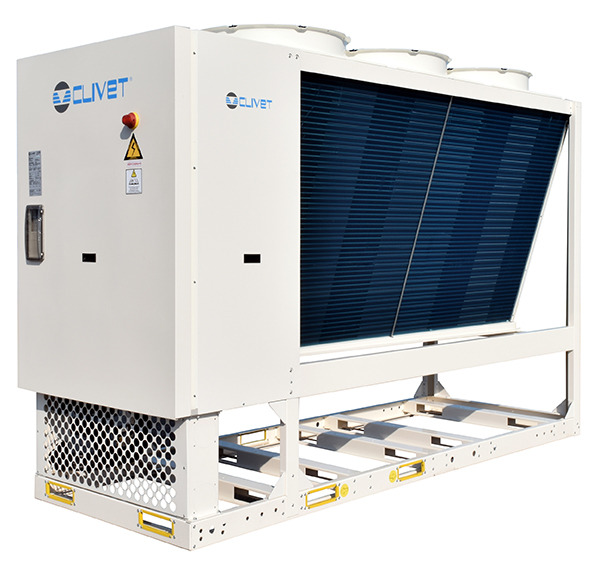 Clivet chiller and heat pump solutions include different technologies to operate at maximum seasonal efficiency. ELFOEnegy Edge (5-16kW), ELFOEnergy Sheen (20-60kW), and ELFOEnergy Storm (56-85kW) are heat pumps with single circuit for residential, small and medium business services. The full DC Inverter technology (applied to compressors and fans) the hydrophilic coated coil and the electronic expansion valve offer many advantages, such as reduced start-up time, capacity modulation down to 30 percent, stabilisation of supplied water temperature, null starting current, reduction of sound levels at partial loads, very high seasonal efficiency (ELFOEnegy Edge SEER up to 5.34 and SCOP up to 4.53; ELFOEnergy Sheen SEER up to 4.08 and SCOP up to 4.01; ELFOEnergy Storm SEER up to 4.70 and SCOP up to 4.18). ELFOEnergy Storm offers high energy efficiency at full load, reaching the Eurovent A class both in heating and cooling. The unit was designed for modularity. It is possible to connect up to 16 units in a local network, reaching a maximum capacity of 1360kW and up to four units connected hydraulically. The combinations can also take place with different capacity units. The modular system preserves the strength of the single module but multiplies the advantages such as increased system efficiency, higher reliability, simplified handling and installation, quick and easy maintenance, and scalability. ELFOEnergy Magnum offers liquid chillers and heat pumps with twin circuit from 50-125kW for centralised residential buildings, small and medium commercial and industrial applications. The Inverter gives a very high seasonal efficiency. The unit is available in three versions: chiller, heat pump and multifunction unit with simultaneous production of hot and chilled water. ELFOEnergy Magnum (140-355kW) and SPINchiller3 (243-1350kW) air cooled liquid chillers and heat pumps combining A class performance at full load operation and exceptional performance at part load. SEER up to 4.65 and SCOP up to 3.85, obtained thanks to advanced technological components and innovative product design, including twin or quadruple refrigerant circuits, two scroll compressors per circuit, condensing temperature control, variable fan speeds, electronic expansion valves and a highly efficient plate heat exchanger. Spinchiller3 range includes air cooled chillers, heat pumps and multifunction units for heating and cooling simultaneously or independently, free cooling is also an option for all cooling only Spinchiller3 models. Spinchiller3 (chiller version) allows for the earning of credits in the Leadership in Energy and Environmental Design (LEED) green building rating system. Remotex, the new air-cooled chiller (240-2050kW) and heat pump (240-1230kW) in two sections, which expands the application possibilities of the conventional packaged units. The Remotex system consists of an internal condenserless chiller comprising compressors and controls, and a matched externally mounted heat rejection condensing unit. In this way, it has lower noise level operation, reduced installation footprint (internal unit needs only 2.5 m2 surface area), long life of all sensitive components. Mounted internally, the chiller is protected against the atmospheric conditions because the entire hydraulic system is shielded from frost and adverse weather conditions. Remotex provides the maximum seasonal efficiency with SCOP up to 3,92 and SEER up to 4,20. Remotex (chiller version) allows for the earning of credits in the Leadership in Energy and Environmental Design (LEED) green building rating system. Inverter Direct Drive Centrifugal Chillers, with a capacity range from 880-1935kW, are equipped with the most innovative technologies such as two-stage inverter centrifugal compressor with back-to-back impeller protected by seven patents and able to modulate capacity down to 15 percent. The chillers have falling film heat exchanger technology, which reduces refrigerant charge up to 40 percent in comparison to flooded type exchangers. The result is a seasonal efficiency comparable to the best technologies on the market. 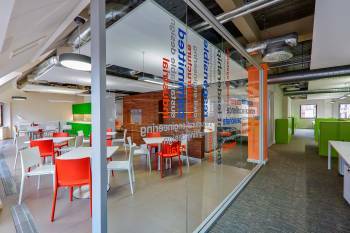 High efficiency and low refrigerant charges allow for the earning of credits in the Leadership in Energy and Environmental Design (LEED) green building rating system. SCREWLine3-i is an air cooled liquid chiller with full inverter technology and R134a refrigerant. The inverters are on both screw compressors and the solution is the most technologically advanced available on the market, resulting in a valuable and effective choice both in terms of capital investment and running cost. The inverters allow the compressors to track the cooling load with close modulation, supplying only the necessary energy without great variations of power input, in turn giving a high seasonal energy efficiency (SEER up to 4,8) and drastically reducing sound levels at part loads. High efficiency and low refrigerant charge allow for the earning of credits in the Leadership in Energy and Environmental Design (LEED) green building rating system. All Clivet chillers and heat pumps are equipped with hydronic groups, valves and system accessories, simplifying the installation.